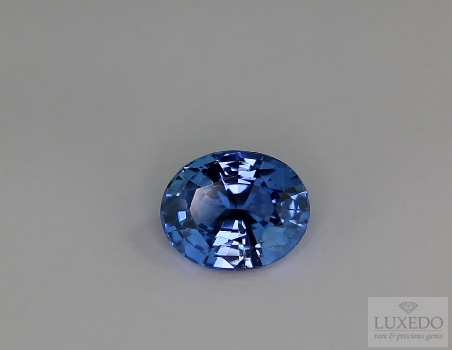 A brightness beyond the ordinary and a transparent and luminous crystal light up this beautiful oval Sapphire of 3.58 cts. Beautiful proportions and a fascinating color hue on the shades of cornflower, which boasts more and more admirers. Choice of great effect.